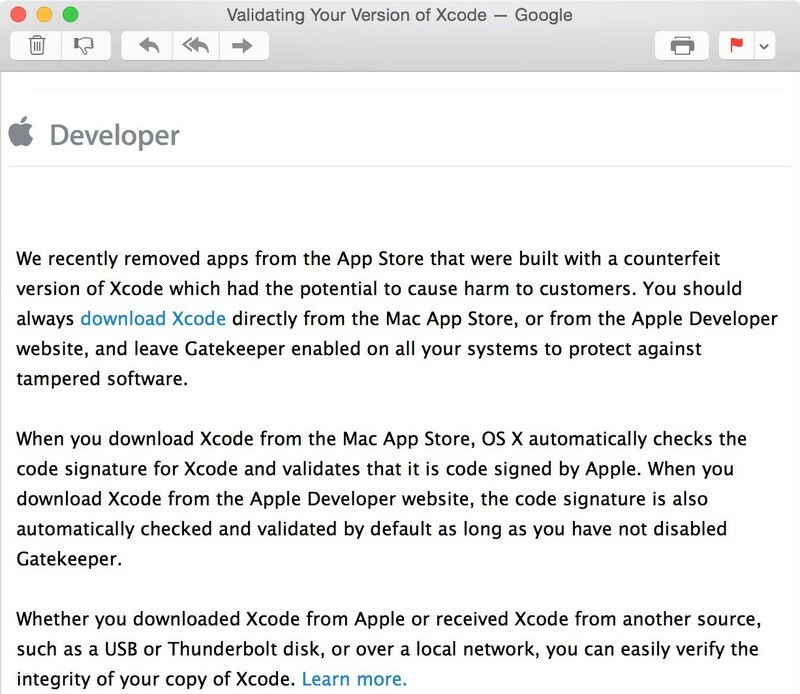 When you download Xcode from the Mac App Store, OS X automatically checks the code signature for Xcode and validates that it is code signed by Apple. When you download Xcode from the Apple Developer website, the code signature is also automatically checked and validated by default as long as you have not disabled Gatekeeper. Apple's Phil Schiller tells China's Sina website that Apple knows of no cases where malicious apps transmitted user data. Here’s Apple’s message to developers. Whether you downloaded Xcode from Apple or received Xcode from another source, such as a USB or Thunderbolt disk, or over a local network, you can easily verify the integrity of your copy of Xcode. Furthermore, a post on Apple’s portal for developers contains additional instructions for validating copies of Xcode obtained elsewhere. where /Applications/ is the directory where Xcode is installed. Keep in mind that the above command line can take up to several minutes to complete the assessment for Xcode. Basically, the tool performs the same checks that Gatekeeper uses to validate the code signatures of applications. 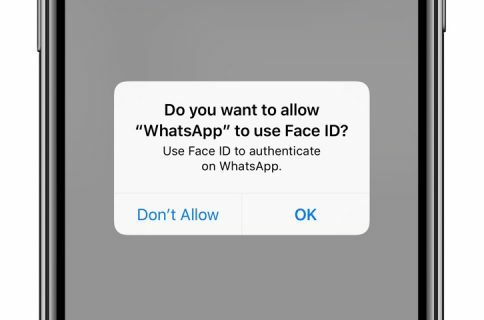 Any result other than ‘accepted’ or any source other than ‘Mac App Store’, ‘Apple System’ or ‘Apple’ indicates that the application signature is not valid for Xcode. I’m not sure why anyone would download Xcode from a non-sanctioned source to begin with, but am certainly glad Apple is urging developers to download a clean copy of Xcode before submitting new apps and updates to the App Store.